written by Rupert Reyes and directed by Mary Alice Carnes. 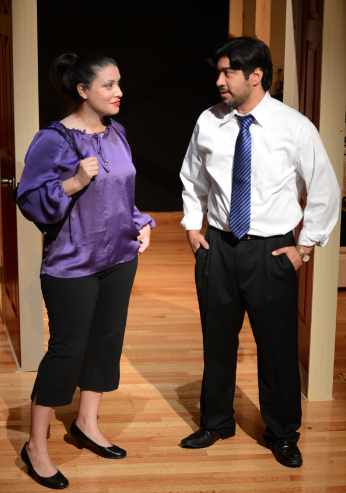 Teatro Vivo presents a bilingual romantic comedy, Vecinos (Neighbors) written by Austin playwright Rupert Reyes. Reyes is most noted for the popular Petra plays; Petra’s Pecado, Petra’s Cuento and Petra’s Sueño. Don Roberto is a feisty 70-year-old widower and colorful barrio icon that chooses to spend his days watching TV and threatening to scare off the young graffiti taggers with his antiquated gun that has no bullets. His routine rapidly changes when a new neighbor moves in across the hall. Seventy-year-old Doña Maria catches his eye and they become more than vecinos (neighbors). ¡Ay caramba! Is it love senior citizen-style? You can bet the sparks will fly, especially when their adult children find out that there is romance in the air. You won’t want to miss this heartwarming romantic bilingual comedy that begs the question, is it ever too late to fall in love? The cast for this production includes Rupert Reyes (Pinkolandia, Mariachi Girl), Alejandra Murga (Mariachi Girl, Rosita’s Day of the Dead), Karinna Perez-Cantu (La Víctima, Latino Comedy Project) and Mario Ramirez (Cuento Navideño, Mariachi Girl). Vecinos is performed in a unique bilingual presentation style (a blend of both Spanish and English) that Teatro Vivo is most noted for producing. Don’t miss this heartwarming bilingual comedy for the entire Austin community. embrace the full spectrum of humanity through the Latino cultural lens. AUSTIN, Texas, March 15, 2014 — Teatro Vivo presents the fourth annual Austin Latino New Play Festival (ALNPF) in collaboration with ScriptWorks. 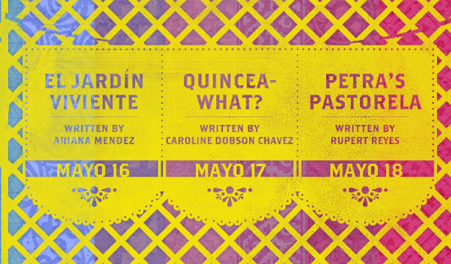 Everyone is invited to enjoy these three evenings of staged readings of new Latino plays. Performances take place at the Emma S. Barrientos Mexican American Cultural Center, May 8-10, 8 p.m. General Admission is “pay what you wish” Reserved seats are $15 for each evening. An ALNPF Festival Pass is available for all three evenings for $40. Visit teatrovivo.org for information. ALNPF is a theater event, which unites playwrights and audience members in conversation about three new workshop productions that bring insight into the Latino experience. The staged readings are workshop-style presentations. After each reading, the playwright and director participate in talkback sessions with the audience. Though the productions have Latino roots, they explore cross-cultural age-old themes and modern dilemmas that will surprise, challenge, engage and push the dramatic envelope for audience members accustomed to one-way conversations at the theater. Synopsis: Cielito Lindo is a bilingual (Spanish-English) play that focuses on 9-year-old Florencia (Sky) Valdez who is raised with her brother by her two grandparents (Abuelos). Sky is struggling with bullies at her school who in turn make her question her identity and the kind of person she wants to become. With the help of her friend and her Abuelo’s advice she determines that family and friendship, love and respect, are the most important things in life. Playwright: Stephany Cavazos is a 3rd year at the University of Texas at Austin pursuing a B.A. in Theatre & Dance and a Business Foundations Certificate. While she was born in Gillette, Wyoming she spent most of her childhood in San Antonio, Texas before moving to Austin. She has written many plays but “Cielito Lindo” is the first play she plans to showcase. Her family is the most important thing to her and is so blessed to have their guidance and wisdom in her life. Synopsis: Luchadora! : The discovery of a wrestling mask prompts Lupita, a Wisconsin grandmother, to share her tale about growing up in 1950‘s Texas. As she tells her story, her life as a teen tomboy comes alive–bike riding, running her father’s flower stand and lucha libre. Within her tale, Lupita anticipates seeing a World Championship match until she discovers her ailing father is one of the wrestlers. Concerned about her father’s safety, Lupita trains “in secret” to be a wrestler but finds difficulty keeping her secret from her friends and, most importantly, her father. Playwright: Alvaro Saar Rios is a writer & performer as well as the co-founder of the national touring performance troupe–The Royal Mexican Players. He holds an MFA in Writing for the Stage & Screen from Northwestern University and his work has been performed in New York City, California, Hawaii, Milwaukee, and all over Texas! Mr. Rios is an Assistant Professor at the University of Wisconsin-Milwaukee where he teaches playwriting. Recently, he was commissioned to write a young audience opera for Houston Grand Opera. Synopsis: Aspiring writer Emi Castillo chronicles the struggles of her Mexican immigrant family as they survive in the shadows of Chicago’s El, and their family’s Él – the unseen husband and father who abandoned them years ago. English, Spanish, Catholicism, artistic expression, and truth are forced to coexist in the Castillo’s small Logan Square apartment, with humorous and poignant consequences. As the family’s story is revealed, characters explore the value, process, and costs of telling their stories. Playwright: Raul Garza is an Austin-based playwright who has drawn acclaim for telling stories that resound with authenticity and sense of place. His full-length play, “Fantasmaville” garnered the National Latino Playwriting Award, and earned a B. Iden Payne Award nomination for Outstanding Original Script. When not writing plays, Raul teaches yoga, devours pop culture, and serves as co-founder and creative director of TKO Advertising. Raul received his Bachelor’s degree in Advertising from The University of Texas at Austin and his Master’s degree in Liberal Arts from St. Edward’s University. 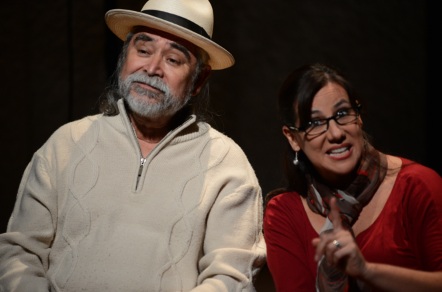 New Teatro Vivo production from writers Omar Gallaga, Raul Garza and Karinna Perez. AUSTIN, Texas, Jan. 29, 2014 — Teatro Vivo presents The Mexcentrics, Latino Sketch Comedy Troupe in Pulga Time Machine. What would the world be like if Selena had lived? Imagínate (imagine for non-Spanish speakers). That’s the question in Pulga Time Machine, a new sketch comedy with both a clever remix and a comically creative expansion of last year’s sold out Pulga Nation show; this production brings together award-winning alumni from Teatro Vivo and the Latino Comedy Project for a night of Tex-Mex laughs. Pulga Time Machine introduces Rogelio, the world’s biggest Tejano music fan, who must travel through time to save its biggest star. Featuring hilarious new characters including los lowrider drones, a rebellious Virgen de Guadalupe, and Obamacare holdouts as well as favorite characters from last year’s production of Pulga Nation, Pulga Time Machine is a 7-layer dip through pulga (flea market) culture past, present, and future. 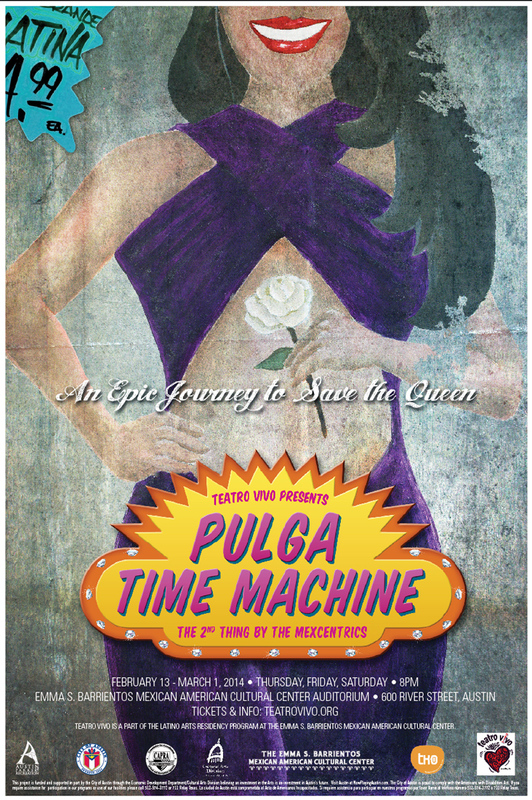 Pulga Time Machine runs Feb. 13- Mar. 1, Thursday-Saturday, 8 p.m. at the Emma S. Barrientos Mexican American Cultural Center, 601 River Street, 78701. Tickets are $20 reserved seats, $13 for students and seniors; general admission is $16. Free parking available. Show contains adult humor and language; ages 16 and up. 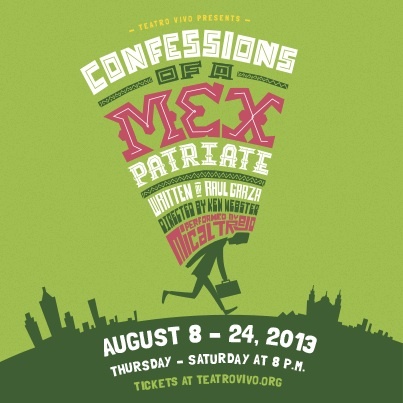 AUSTIN, Texas, July 9, 2013 — Teatro Vivo presents Confessions of a Mexpatriate, an original one-man performance. Mexpatriate depicts the misadventures of a man who embarks on a journey across Mexico in search of his life’s meaning, and in a discovery of what it truly means to be Mexican-American. 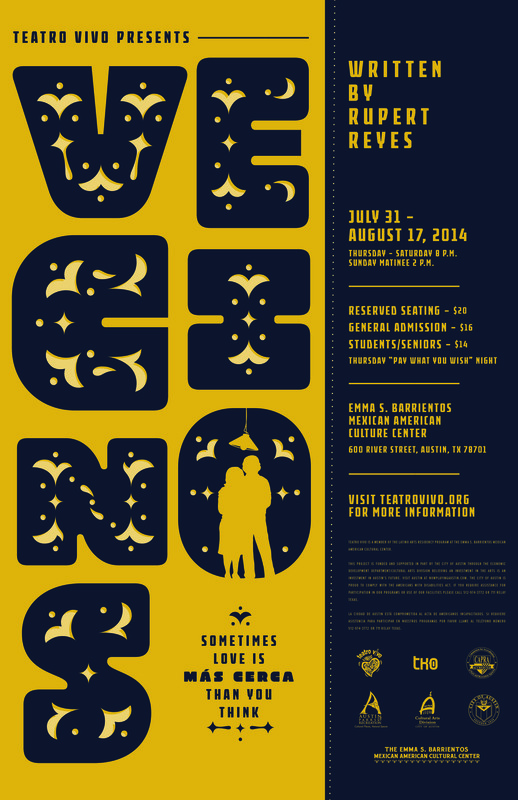 The opening night gala event, Noche Oaxaqueña — A Taste of Oaxaca is Saturday, Aug. 10. The 6-8 p.m. reception includes Oaxacan-inspired hors d’oeuvres and drinks, followed by the 8 p.m. performance of the play. Tickets for opening night reception and show are $40 per person. About Raul Garza: Raul Garza’s first full-length play, “Fantasmaville,” received the 2007 National Latino Playwriting Award. As a writer for Austin’s Latino Comedy Project, Raul contributed to numerous stage and touring shows. When not writing plays, Raul teaches yoga, fills up on pop culture and serves as co-founder and creative director of TKO Advertising. He received his degree in Advertising from The University of Texas at Austin. Raul is an adjunct professor of Communications at St. Edward’s University. Raul wrote Confessions of a Mexpatriate during a writing residency at Arquetopia in Oaxaca, Mexico, fall 2012. These staged reading presentations are lively readings with props and movement on stage, riding the fence between staged reading and full-out production. After each production the playwright and audience will participate in moderated talk-back sessions so attendees can provide feedback to the playwrights. Though the productions have Latino roots, they explore cross-cultural age-old themes and modern dilemmas that will surprise, challenge, engage and push the dramatic envelope for audience members accustomed to one-way conversations at the theater. Ariana Mendez is a California native born to Mexican immigrant parents. . Ariana is currently studying Radio-Television-Film and Theater at the University of Texas at Austin, where she developed an interest for playwriting because she wanted to contribute to the Latino representation in theater. Susana, a woman in her mid thirties, is suffering from breast cancer and has accepted her fate despite her family’s attempts to keep her alive. Her brother, Marcos, and sister, Gloria, each turn to their own separate spiritual beliefs in hope that Susana will recover and overcome cancer. Caroline D. Chavez, originally a native of North Carolina, has lived in San Antonio since 2001. Caroline’s poetry has been published and received Honorable Mention in the San Antonio Poetry Fair Anthology, Voices Along the River 2002, 2003, 2008 and 2011 editions. Quincea-WHAT? is Caroline’s first script endeavor. Two almost-fifteen-year-old girls study Spanish together, and, along the way to a quinceañera, discover the real meaning of friendship, family, love, loss and forgiveness in the quest to define themselves. Rupert Reyes is the co-founder and artistic director of Teatro Vivo. Rupert’s Petra plays have been produced nationally. The Petra plays include Petra’s Pecado, Petra’s Sueño, and Petra’s Cuento. Petra’s Sueño will be produced in El Paso, Texas in April. Petra’s Pastorela is the fourth in the series. Maria, a young woman stumbles into a rehearsal of La Pastorela, directed by Petra Dominguez. Already in labor, Maria brings not only a future resident of Las Flores, TX but reveals the past that will unravel Tina Tamayo’s world. Petra’s Pastorela is a bilingual comedy that explores the joy of birth, the sadness of the loss of life, and love of family that opens the heart to forgiveness, understanding and strength. Petra’s Pastorela is the fourth play in a series often referred to as the Petra Plays. Teatro Vivo presents Pulga Nation, a new full-length sketch comedy show performed by comedy troupe, Mexcentrics. Showcasing a vibrant cast in a series of original sketches, Pulga Nation offers a hilarious look at the Latino phenomenon known as La Pulga (the flea market). Beyond the site-specific comedy of the crumbling Pulga, Pulga Nation delivers sharp social commentary and unforgettable characters like the Pulga’s mero-mero (kingpin), La Haggler, and several proud Pulgueros (pulga shop owners), resulting in a sweetly irreverent look at a true cultural icon.